Grammy winning hornist Marian Hesse is Associate Professor of Music at the University of Northern Colorado and a member of the renowned Chestnut Brass Company. Ms. Hesse is an accomplished performer on historical instruments including alto sacbut, natural horn, saxhorn and the quinticlave. In addition to more than a dozen recordings with the Chestnut Brass Company, she can be heard on the soundtrack recording of Ken Burns’ The Civil War, the Mozart Orchestra recording music of William Herschel and as principal horn on the critically acclaimed Philadelphia Virtuosi recordings of the Music of George Antheil and Howard Hanson. Ms. Hesse serves as Secretary/Treasurer for the Advisory Council of the International Horn Society. She is a member of the Board of the International Horn Competition of America and is an adjudicator for the Jeju, Korea International Brass Competition. 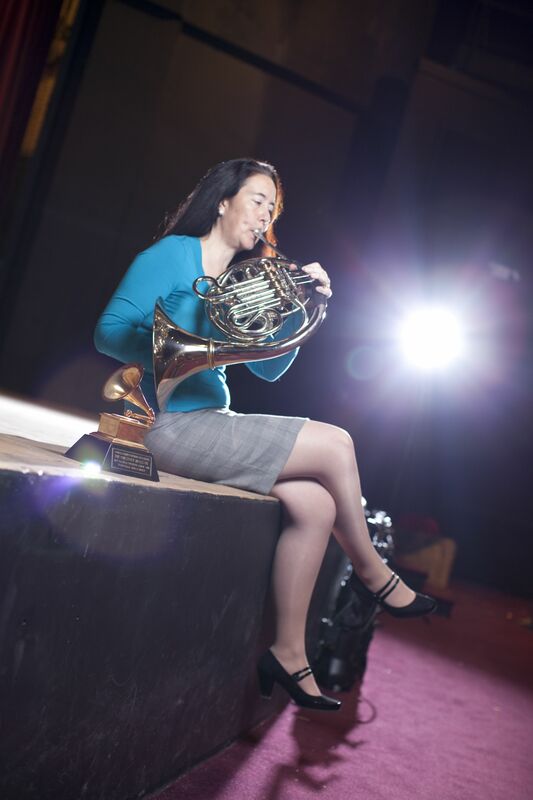 Ms. Hesse has performed as principal horn with Pro Musica Colorado, the Boulder Bach Festival, the Kansas City Chamber Orchestra, the Concerto Soloists Orchestra of Philadelphia, and the Philadelphia Virtuosi. A graduate of the Yale School of Music, Ms. Hesse has studied with Christopher Leuba, Jack Herrick and Paul Ingraham. She holds certificates in Non-Profit Management and Fundraising from the Wharton School of Business of the University of Pennsylvania.